Alexander Stepanovich Popov was a Russian physicist who is widely credited in Russia and other Eastern European countries as being the inventor of the radio. Popov was born in 1859 and came from a religious family; his father was a priest and Popov himself studied at a seminary and intended to join the priesthood. He developed an interest in mathematics and physics and then enrolled at St. Petersburg University’s Faculty of Physics and Mathematics. He graduated in 1882 and worked briefly as a laboratory assistant. He was offered job as a teacher at the university. He refused this offer because the salary was inadequate and also because he was more interested in research. To this end he joined the Russian Navy Torpedo School in Kronstadt as a teacher and head of the laboratory where he taught the concepts of electricity and magnetism to naval specialists. During that time, there were many developments in the field of radio technology. The principles of invisible electromagnetic radiation were discovered by Heinrich Hertz in 1888. 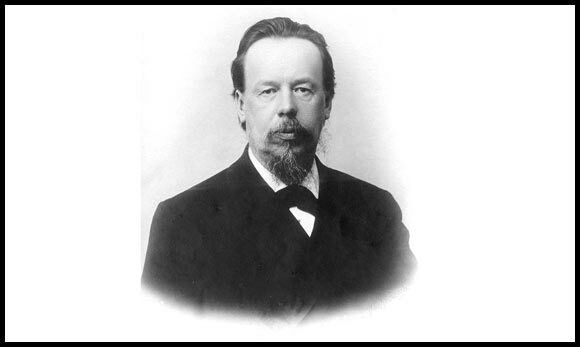 Popov read his paper along with the works of other physicists such as Édouard Branly who discovered principles of electromagnetic discharge and Oliver Lodge who invented a device known as the coherer. Popov made significant contributions to the field of electromagnetism and improved the coherer by attaching an antenna to it which made it possible to transmit radio waves over short distances. In 1893, he visited the World’s Columbian Exposition held in Chicago, United States where he met and discussed his work with other experts in the field of radio technology. In 1895, Alexander Popov made the first public demonstration of electromagnetic wave reception and the following year he published a paper and depicted his findings with a detailed diagram. The same year, an Italian named Guglielmo Marconi publicly demonstrated his invention and the following year he received a patent for it. Popov used his apparatus to send the first long distance signal at a distance of six miles, that is roughly 10 km. This was three years before Marconi made his famous transatlantic communication so we know that Popov’s claims to the invention are legitimate. Popov, however, was not solely focused on the invention of the radio and instead became more involved in the study of thunderstorms and lightning. By this time, Marconi consolidated his research and applied for a patent, which he was duly granted. Popov’s claim to the invention was defended by the Russian Physicochemical Society but Marconi is generally credited with the invention of radio technology worldwide. However, there is little doubt that Popov independently devised the apparatus without any help from Marconi’s published material. The Russian Navy installed the radio devices that Popov had invented which were very useful in communication and sending distress signals. In 1900, a radio station was established at Hogland island to provide two way communication between the Russian navy and the battleship General-Admiral Apraksin, which helped to save the life of the crew when they ran into bad weather. In 1901, Popov was appointed as a professor at the St. Petersburg Institute of Electrical Engineering and in 1905 he was made a director there. He became ill in 1905 and died in January 1906 due to a brain hemorrhage. His contributions have been widely honored since his death, including the “Alexander Stepanovich Popov” conference room established at the ITU headquarters in Geneva.